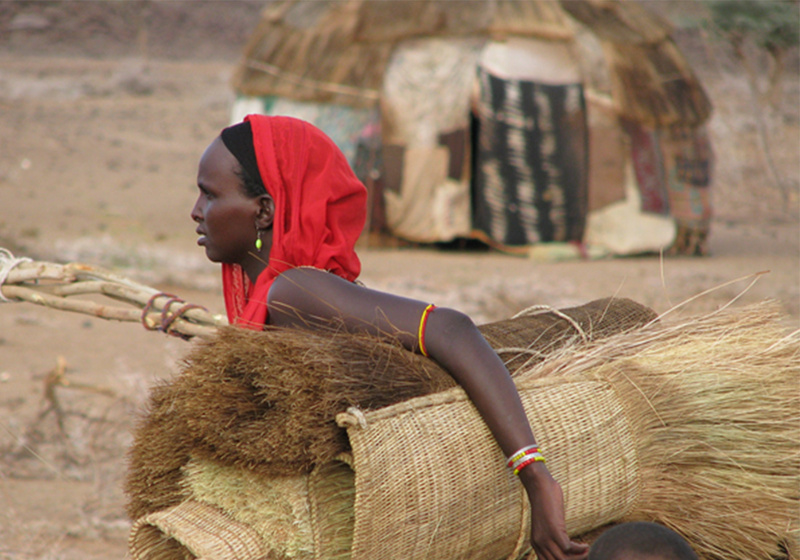 The Gabbra live in the Chalbi desert in Kenya close to the border with Ethiopia. They raise camels and other livestock. They are semi-nomadic. The Gabbra believe in a benevolent God (Waaqa) who gives rain as he pleases. Animal sacrifices and ritual prayers are part of their religious practices. They believe in “merciless” justice, where grace is unknown and wrongs are righted by payment. Islam is growing in the area by building mosques in each town and promising education and finances. Workers continue to distribute Treasures (small mp3 players, with a solar panel on the back) among the Gabbra. The Treasure is an effective tool for reaching Gabbra. The herdsmen especially enjoy listening to the Bible while they watch their animals. Pray for those listening to the Bible, that they may hear and see the truth of Jesus and come to find him as their Savior. Location and Background: The Cushitic Gabbra live in the Chalbi desert along the border of Kenya and Ethiopia, keeping livestock such as camels, sheep and goats. The camel is central to their way of life and economy, and they follow weather patterns to move their herds in search of water and pasture. Their mobile houses are made of sticks, woven mats, skins and cloth, so they can easily move it all on 2-3 camels, while the woman, children, and elderly remain in semi-permanent shelters. History: The Gabbra escaped from Ethiopia around 1900 to avoid conscription into Menlik’s army. Traditionally they moved freely across the border, but life is now more difficult as there is less grazing land available (which is semi-arid), and there are more people and bigger herds. Drought always poses a risk. Culture: The camel is at the center of their culture and economy, using it for meat and milk as well as transportation. They build their homes, fencing and household items out of palms, grasses, trees and other local materials which can be carried on camels. Moving camp is all considered “women’s work”. Their proverb “a poor man shames us all” explains why their mutual support for survival as nomads compels them to allow no Gabbra to go hungry, be without animals, or be refused hospitality or assistance. Religion: The Gabbra believe in a benevolent God (Waaqa) who gives rain as he pleases. Animal sacrifices and ritual prayers are part of their religious practices. They believe in “merciless” justice, where grace is unknown and wrongs are righted by payment. Forgiveness is possible, but the penalty must be paid. Ancestors are honored, and may rituals are performed with fear of incorrect practices. “Ayana” worship—the worship of Satan and his angels—is a practice increasing among the Gabbra, with the center of worship being at Dabel. The “Yaa” is the high court in each clan, choosing leaders and overseeing all spiritual aspects of the community. Islam is increasing by building mosques in each town and promising education and finances. Learn more about the Gabbra at Joshua Project or about Kenya at Operation World. 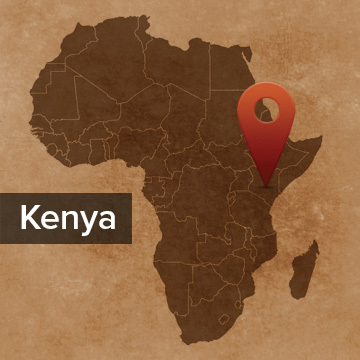 Friends… please pray that our Dear Lord sends abundant rain to the Hurri Hills and other places in northern Kenya. The Gabbra are beginning to come to Christ in many villages. Preaching points have been established; Bible studies are gathering; new leaders are emerging and being trained; believers are growing. Pray that the Holy Spirit will speed this movement and that very soon the Gabbra will have a reproducing, indigenous, Christ-centered church.